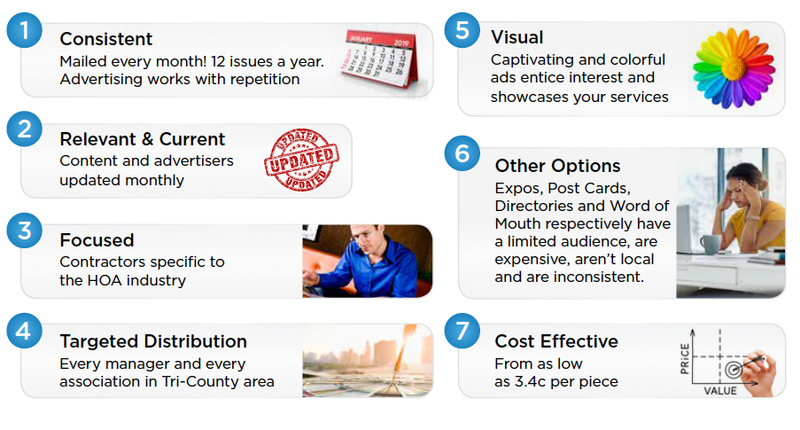 The Media Kit is a collection of guidelines for advertising in The Property Management Magazine. Download the media kit now or request advertising info! With an estimated $4 billion spent this year on property management goods and services in the tri-county area, should you be missing out on the opportunity to get your business in front of the right people? If you are a reliable, licensed and insured contractor or service professional, we will help you get in front of the decision makers! We place your business in print because it works. Generating more local leads for advertising clients all across the local counties, we know that print advertising is still the backbone of local, community based marketing. 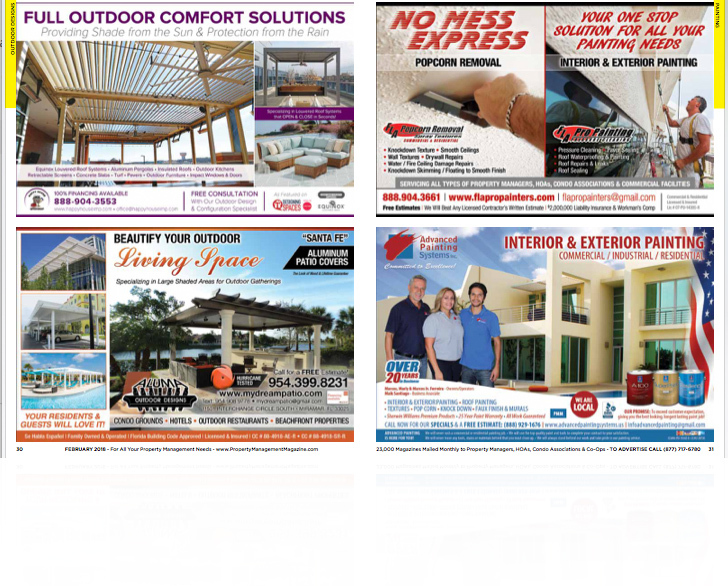 We then compliment your print ad with FREE a web listing on this website we market your business along with this magazine across social media, such as Facebook and Twitter to local property managers. We also send emailed newsletters to property mangers each month introducing some of our clients. We truly offer a comprehensive marketing solution for your commercial or residential improvement business. Why Choose The Property Management Magazine?